Hi everyone! First time on cubebrush and happy to join this community. So happy that i choose the dark side. I'll go with a symbiotic relation between a person and his living clothing, both are evil (of course!) but probably differently. 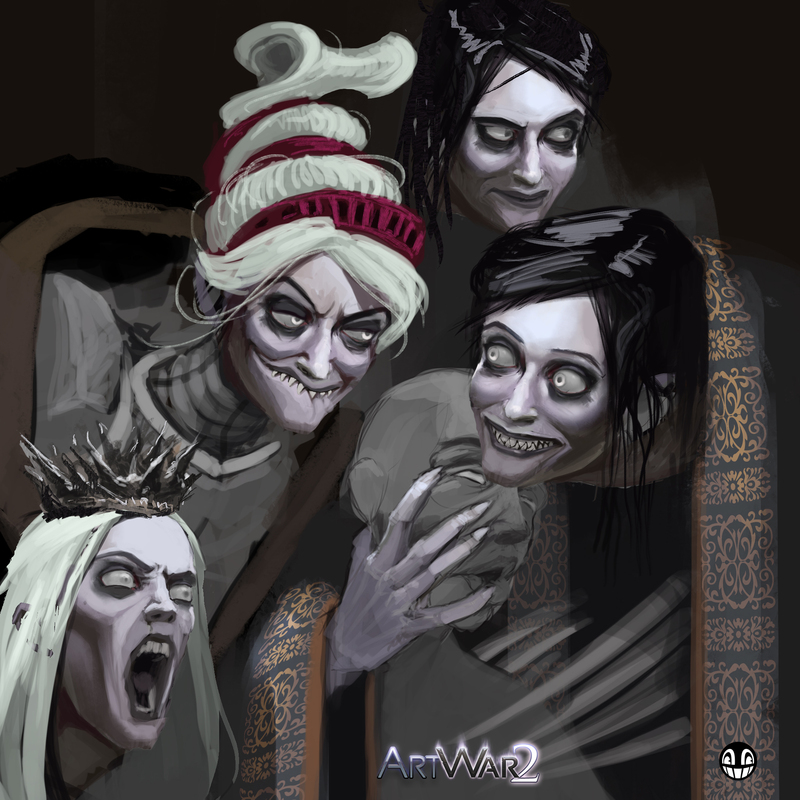 Based on your artstation this can be interesting! As i was writting before, i'll go with a symbiotic relation between a person and his living clothing, both are evil (of course!) but probably differently. Here are my two options. If i go with this option i will have to get more dark and more epic obviously. 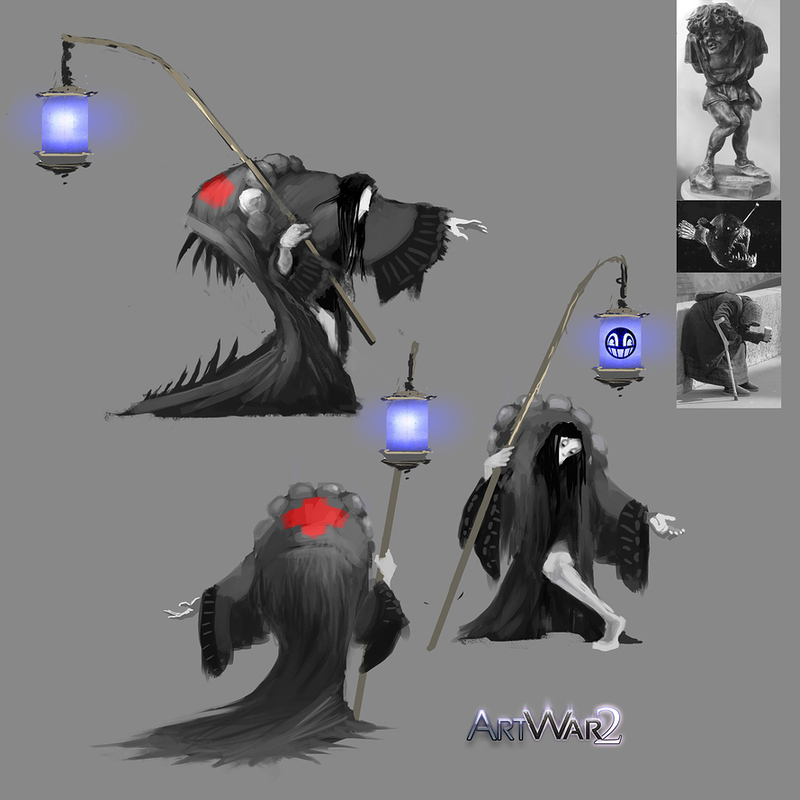 The second option was inspired by an old woman in my city, she wears a cloak and has crooked limbs and sadly beg for money. When the night comes, she takes of her cloak and let appears an healthy young woman. Master of deception, Keyser Söze in real life. Well, now she heals wounded soldiers on the battlefield and help lost people with her lantern. @rgdraw Thanks! All the best to you. @glubglubz I'll do my best not to disappoint you. The first one has more personality, but the second is cooler (in my opinion). @glubglubz Thank you for the help, you said the magic word. The cooler, the better! I'll give her some personality on the next batch. 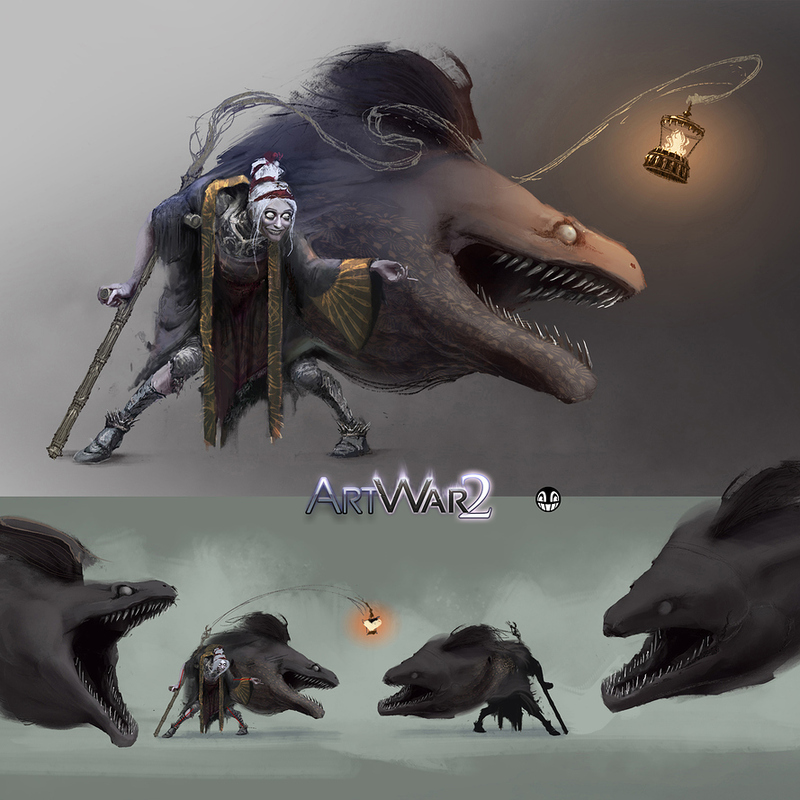 Your concept art with the anglerfish is looking good! Perhaps play more with that lantern light? Thank you @evehartman, i started playing with the lantern light. A. A river bank, she attacks troops passing by. B. The sea. 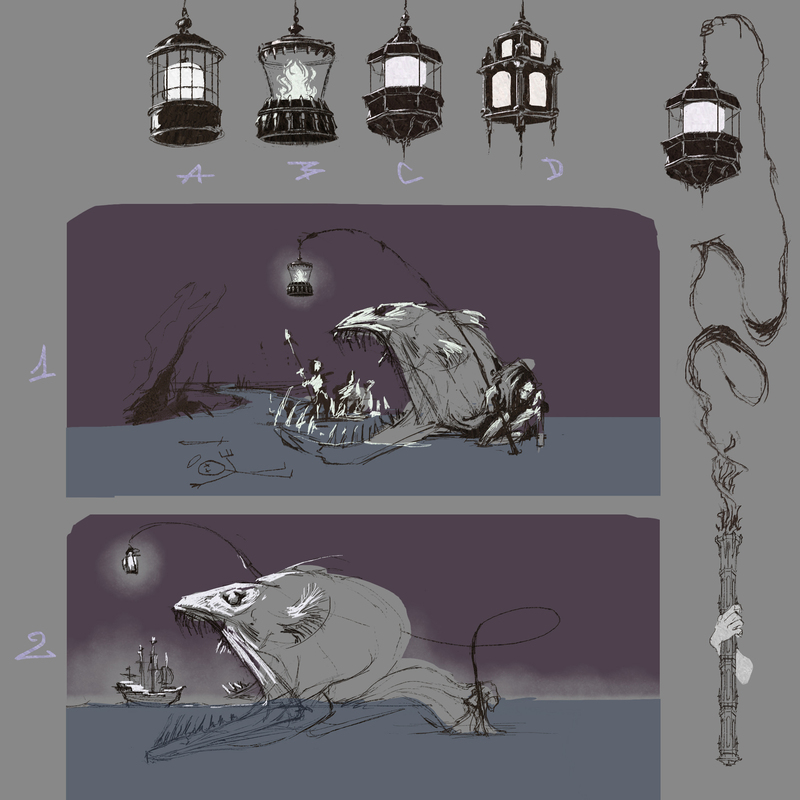 Her lantern is now the size of a lighthouse and she can lure and devour entire fleet of vessels. That's more epic and war themed. See you soon with some expressions. I really like this idea! The illustration will look awesome! Ohh my god!! Look at her face! It's shining!!! I love that expressions and idea!! the expression of anger is very good. ...nice worck!! @tbrk & @ggampugi "Little pigs, little pigs, let me come in". Now, you now which movie to watch tonight. @daimonfist Aaaaargh! See you soon in your thread. 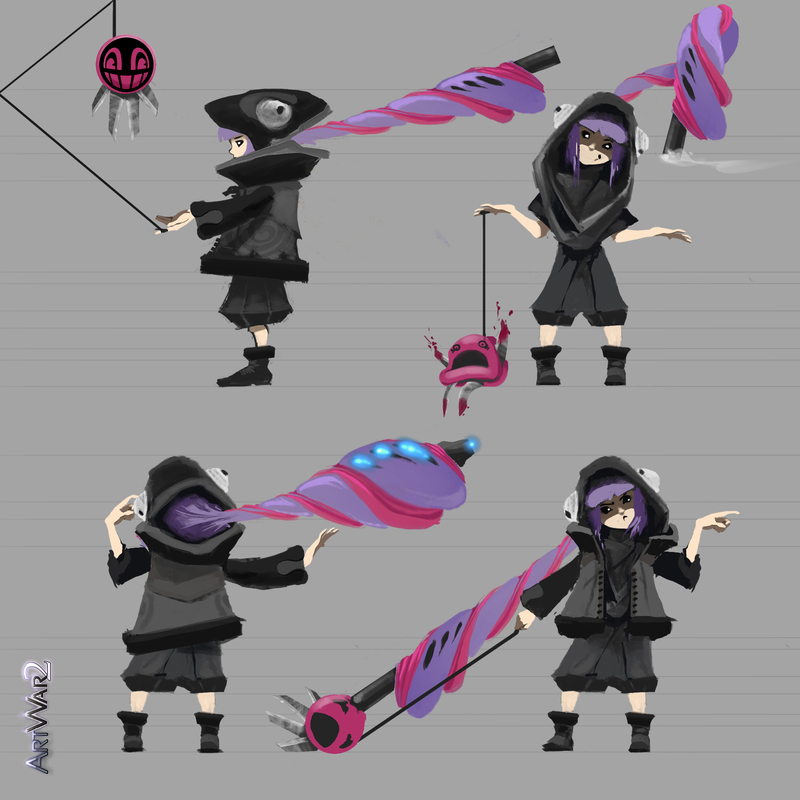 OK, here is a little bit more of character design. 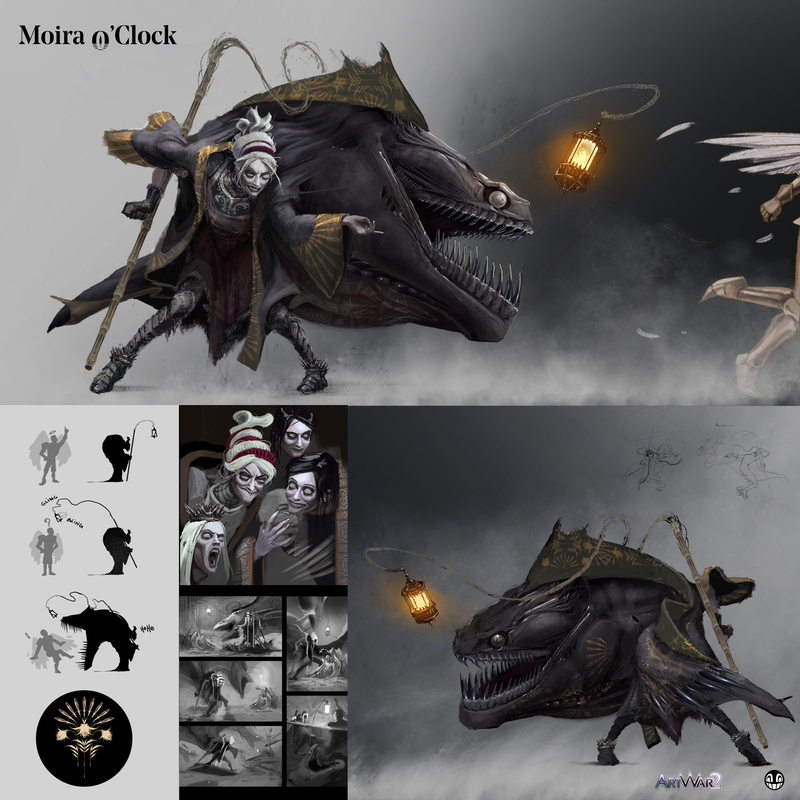 finally the angler fish is now a moray eel, design-wise moray eel's throat and body remind me of floating fabric which i find more appropriate. Feel free to point mistakes, give critiques or just say hi, it's always appreciated. On my way to draw some thumbnails. Wow! She's got great expressions! With black hair she reminds me of Eva Green in Penny Dreadful series. And your concept is so interesting! Hi, really like the design, creepy with a powerful presence. The only thing I think might need some tweaking is where her head attaches to her neck otherwise looking nice. @meonika, Yeeeeeah! Thanks! She's one of my reference along with Helena Bonham Carter (but shhhhh). @br00dley Say no more, i already like you. As for the neck, it's a recurring remark, i'll definitely work on it. Thanks! 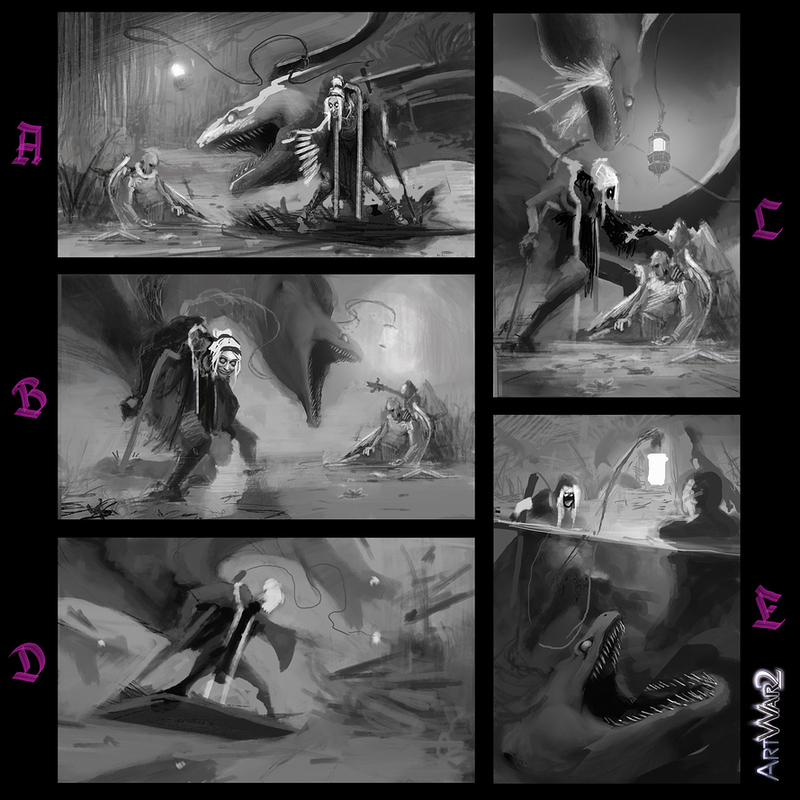 The scene of A, B, C takes place at an idyllic river bank, with water lilies, weeping willow, dragonflies, the dawn. Basically my character destroy light army on their own ground. D and E are sea scenes, wrecked ship style. As reference i will certainly use a Pieta for angels, and Herakles, Perseus, Odysseus or just a random zombie for the main character. A- Moira (that's my character's name) is about to devour the last angel standing. This dude know it's the end, it's almost sad. B- This time the angel has a friend, with a broken sword, not very helpful. 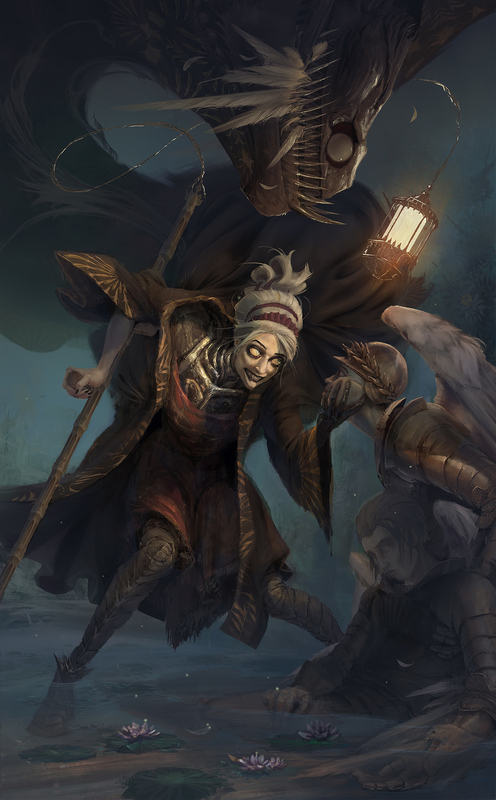 Moira has a third angel between her leg, she breaks his back with her cane and force him to watch his friends' fate. C- I may have a problem of scale with this one, for now it's my favourite nonetheless. While the moray eel is chewing some angel wings, Moira take the hand of one of the survivalist. She's probably saying something like "Finish 'em" or "Fatality!". If i go with this option i will paint it in claro oscuro style. D- The camera is underwater. She is surfing whilst having some fun with a boat. Wooden shards and bodies sinking. E- Moray eels are eating boats in the background and a poor guy saying hi to Moira. I think i am hungry. I'm still looking forward to hear from you!